This is 9 Easy Ways to Know When to Take a Break From Your Guitar Build. You can actually make a better guitar if you stop and walk away when these things happen. The break will help you make better decisions, and a better guitar. A guitar build is not a weekend project. The more you agree to take your time and allow the project to move forward on its own, the easier it will be. There are so many things to do, so much to learn, and a lot of places to stop. The last thing you want to so is move forward so much that you make mistakes, miss steps, and make the build actually take longer than if you took your time. In the end, all of those things will need to be fixed, and that adds more time than they subtracted. Stop and take a break when you get frustrated with a build. When you are frustrated, you are not capable of making the same kinds of decisions that you are when you are calm. This leads to mistakes, and poor performance on your builds. Walk away when you are frustrated. It’s not worth making a bad decision because you are upset with the process, and these decisions are typically bad. When your mind is not working right, you tend to make the fast or least resistant decision rather than the right one. In times like this, don’t allow your emotions to get in the way. Take a break, and get away from the build for a little while. When you return, you will be able to make a better decision, and work towards your goal. Once you get tired, working in the shop becomes dangerous. Not only are you asking for a possible injury, but you are also risking an entire build only to save a couple hours or maybe even a couple minutes that you could be spending resting. 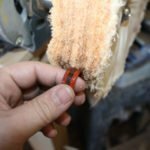 If you have a deadline and you need a little boost, there are ways to make that happen and get you into the shop. However, working tired is not productive, and you don’t get as much done as when you are awake and alert. Instead of working on your guitar half awake, take some time away from the build and get the rest you need. The next time you go out there, you will be in a much better position to make better decisions and better guitars. Making a guitar takes a lot of brain power. When you devote your thoughts and energy into making an instrument, your results and the way the reject flows is a work of art. When you are distracted, that is not the case. Distractions can be both internal and external. An example of an internal distraction is music that is at a very high volume, or a random sound that you are trying to trace down while you are also working on your project. An internal distraction is something that you are thinking about, which pulls your energy away from the build. This can be a problem at work, something with your kids, or anything else that reduces your ability to think and be aware. When this happens, take a break from your guitar, and get some rest. If you can, work on the situation that is making your thoughts wander. Clearing this mental block will give you more brain power when you build your guitar. This is one of the worst things you can do as a guitar maker. Skipping steps is a win right now for a failure down the line. Any time you are thinking about skipping steps, you should take a break from your guitar. The author of the book, or the designer of the plans does not put in extra steps just to be cute or annoying. All of those steps mean something to the final build, and you need to do all of them in order to e successful. There are a couple exceptions to this rule, one of them being when you are experienced and you know a different way to do something, and the other is when the step is an optional embellishment that you can live without. It’s very important that you resist the urge to skip steps, and instead take a break from your build and come back later. Odds are when you come back, that little voice of frustration that wants you to skip steps will be silenced, or at least settled a bit. One of the dumbest things you can do is plow through a step or a process not knowing what the heck you are doing. This is reckless behavior, and can lead to a ruined guitar, and even an injury that can cost you more shop time. Rushing is a sign of nervousness, and insecurity. It can also be a sign that you are not happy with what you are making. If you are rushing to complete steps to see if you can do them, then you are not confident in your abilities, and you should take a practice break. 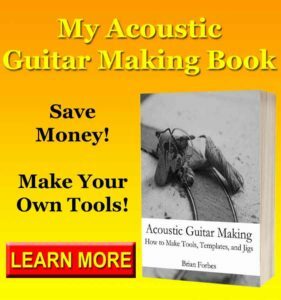 If you are rushing because you are bored with the process and you want to see it over, then guitar making might not be the hobby for you. A hobby by definition is something that brings you joy without feeling like work or being required like work. Once you feel like you are working, you need to find a way to spark that love again. Until then, stop and take a break. If you do not have the shop time left to complete a step that needs to be completed before you leave the session, don’t start. Sometimes you have to fully complete something, which typically has to do with glue, and you don’t want to short change that process. 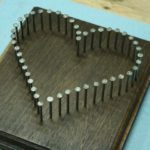 If you have a big gluing task, make sure that you have enough time in the shop. 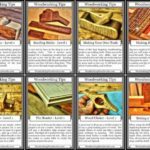 After you have a little experience under your belt, you will know what it takes to accomplish certain parts of the build. Use that information to make good decisions about the current build. The last thing you want is to have a glue covered mess on your hands, and you have to leave for a dinner date. You will end up rushing, doing a poorer job than normal, and in the end the instrument will pay the price. When a mistake happens, it can be devastating. Sometimes, the knee jerk reaction is to try and fix the problem as fast as possible to get you back to where you were before you made the mistake. This is a bad idea, and you should take a break from the guitar instead. The rushing that comes with trying to undo a mistake super fast is where you will run into problems and make more mistakes. These will compound, and before you know it you are in a lot of trouble. As long as nothing is on fire, and there is no danger, just take some time away from the build, and come back with a clear head. When you do, the answers will be clearer, and the path back to pre-mistake land will be easier. See Also: Can You Build an Acoustic Guitar? Don’t forge ahead when you don’t know what you are doing. On a guitar build, there are going to be a lot of little research breaks that you will have to take. This is normal, and the best builders figure things out before they move forward. If you can’t trust in yourself to have all the answers, then trust in the internet. The odds of you being the first person in the world to have this problem are very low. Instead of spending time not knowing something, go online and get the answer. With Google in your pocket, there is no reason to wonder about things anymore. If you need to know the scale length for a certain guitar, just search for it. Figure out the answers to your questions, and then put those answers into practice. The barrier to information is so low today, and the amount of information in the word is growing every day. There is no reason to move ahead when you don’t understand something, and every reason to stop and do a little research. With any new skill, there are abundant opportunities for practice. If you find yourself in a place where you are unfamiliar with something, this is a perfect time to stop. Once you practice a little, you will be in better shape to make a good guitar. There are a lot of different skills involved in making a guitar. If you are going over the top, there are even more skills that make the best of the best instruments. 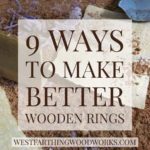 Each of these takes practice, and building on even one of these can take time. The more you can make yourself stop and practice, the better. 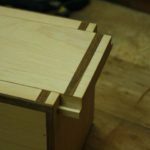 Even something simple to an expert like carving braces can be a nerve wracking mess to a beginner. Everyone was new at some point, and we all have to learn as we go. This is where practice and taking breaks is so beneficial. The more breaks you take to practice on a scrap, the more confident you will be. This confidence leaks into other areas of the craft, and eventually you become really good at what you do. Your homework is to take a break the next time that the opportunity presents itself. Now that you know and can recognize several good examples, it should be very easy for you to see one of them coming. The trick is going to be getting yourself to do it. Reading this post, it’s easy to say you are going to take a break. In the heat of the moment, when you are frustrated, or upset, or just want the guitar to be built already, it can be difficult to stop. Make the right decision, and stop for a break when you see your cue. Go back into the house, and sit down for a while. Do whatever relaxes you, like watching tv, reading, or just closing your eyes. Give it some time, and don’t return to the shop until you are in better shape mentally. You will know when it comes, just wait for it. After a while, which will vary from person to person, you will notice that you are a lot calmer. Let this feeling get comfortable and stick a bit, and then you are probably safe to go back out into the shop. There are a lot of opportunities to take a break when you are making your guitar. 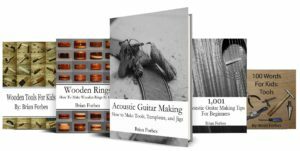 A guitar build is such a long process that you can make it easier on yourself by understanding that right from the beginning. As you build, you will see these stopping points come along, and it’s up to you to recognize and seize them. It seems strange to seize a moment with inaction rather than action, but you will do more good things for your build by taking a break than by forging forward. Once you are away from the build for a little while, your mind will clear, and you will be able to make better decisions. At this point, you can go back into the shop. Resume the build with a clear mind, and you will make better guitars. 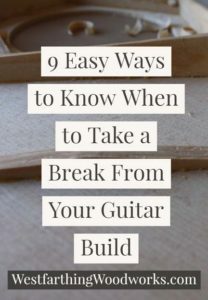 If you have any questions about 9 Easy Ways to Know When to Take a Break From Your Guitar Build, please leave a comment and I will be glad to answer them. Happy building.